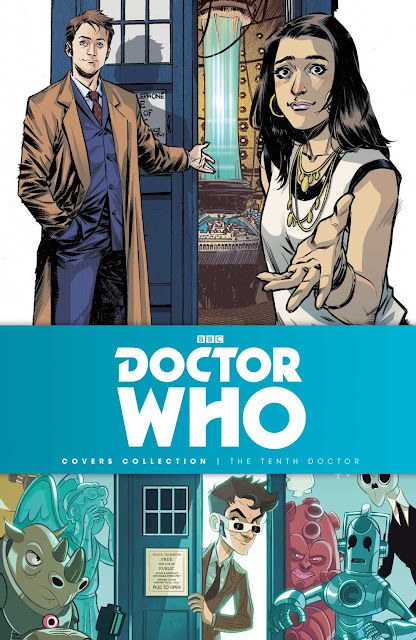 Titan Comics' Doctor Who: The Tenth Doctors Covers Collection is released today and features an astounding selection of covers from across the last three years of the Tenth Doctor, as played by David Tennant! It includes amazing insight into the creative process behind your favorite pieces of artwork and photographic montages, including never-before-seen sketches, unseen images, and mock-Ups. Plus, the writers and artists from the series pick their favorites! And an unmissable overload of incredible art for all Doctor Who fans from your favorite cover artists such as Kevin Wada, Alice X. Zhang, Claudia Ianniciello, and many more!